Note from the hippy: This turned into a very long post that will be broken up into 3 parts. This is part 1. For years, Nick has been wanting to go to Bonnaroo. I always thought it “might be fun”, but was secretly glad that it always conflicted with the Lumberjack 100 and scheduling just wouldn’t work out. That seems so ridiculous now. You see, I don’t really like “new things”. I especially don’t like “new things that are huge”. Bonnaroo is nothing short of huge. I put Nick was on Lumberjack restriction this year, we’d been there enough times, he’d done what he set out to do, it was time for a LJ break. This meant, there was no conflict, and therefore, no excuse. So, we pulled the trigger on pre-announcement VIP tickets and I spent the next 6 months silently freaking out. It was going to be so hot I would pass out and die of dehydration. Or, it would be hot, but there was some shade and places to cool off. It will be far too hot to sleep and I needed to bring space blankets for reflecting the sun and huge battery powered fans. Or, sleeping is fine as long as you don’t want to sleep too late. You needed to bring a ton of water because otherwise you will pass out and die of dehydration. Or, you didn’t need that much because there were tons of places to fill up. You would be eating grilled cheese made on someone’s car engine all weekend because the food inside the festival was so expensive and not that great. Or, the food inside was somewhat reasonable and tasty. The farm is so dusty you won’t be able to breath. Maybe. I had to stop reading after awhile because I really didn’t know what any of it meant, having no perspective. In the end, I just used some common sense and packed as if we were going to be camping. And it was totally fine. 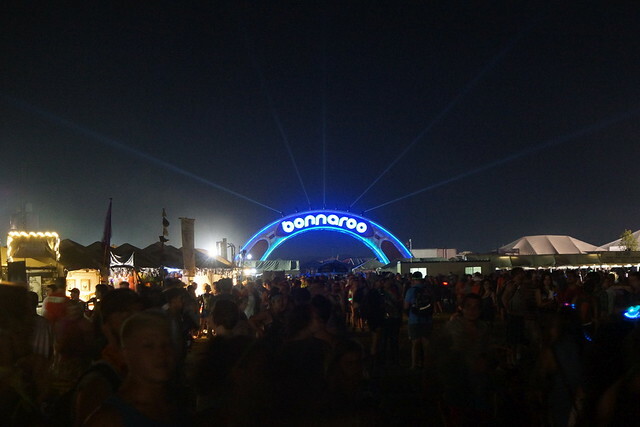 About a week before leaving, we connected with a group of VIP people who’d been following along in reddit.com/r/bonnaroo and were interested in camping together. The guy who was pulling it all together is a Bonnaroo vet who seemed to really have it together. The plan was to meet in Manchester early on Thursday morning, go in to VIP as a group and Jason would lead us to a great spot. He delivered. 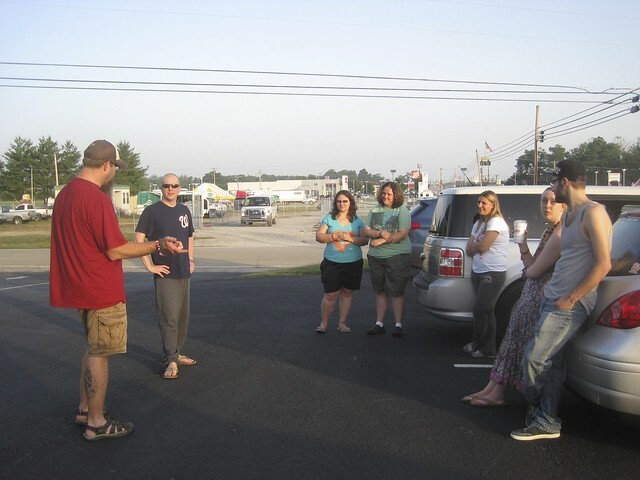 After a few hours sleep in Murphfreesboro, we arrived in Manchester around 6am on Thursday and found the group at a funeral home across the street from the VIP entrance. Jason led and 6 cars followed into Bonnaroo VIP. 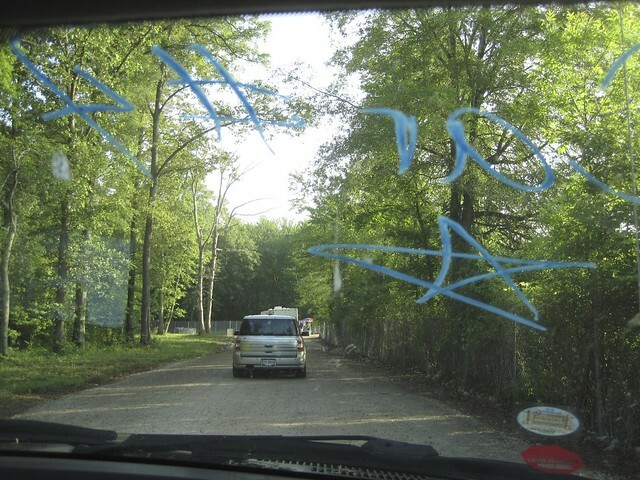 We all went through the “tollbooth” where they did a quick search of our car for stuff we weren’t supposed to have and then followed Jason to our campsites. 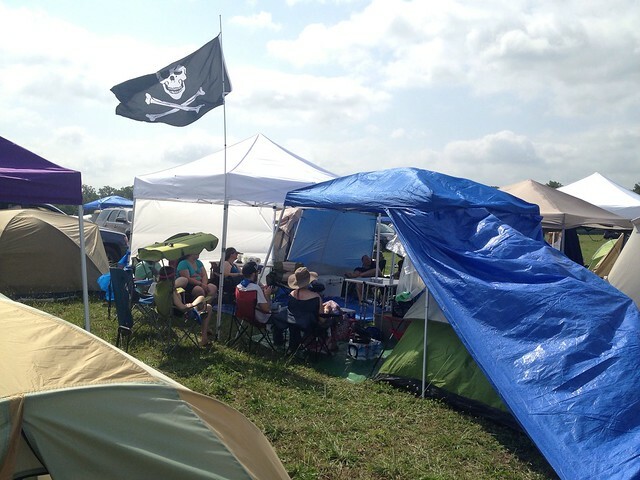 The purple tent and Jolly Roger flag were our beacon to find our way home through the sea of tents. We spent a few hours just getting set up and situated. Of the 7 couples, 4 had been to Bonnaroo before and the other 3 of us couples were newbies, but you couldn’t really tell by looking since we all seemed to be fairly well prepared. 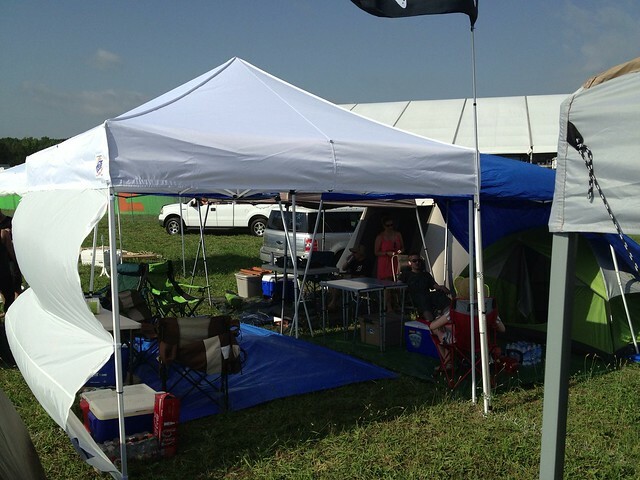 Our camping and EZ-Up tents went up quickly and easily, and before we knew it, we had our own little community built.